"Dog Ear Blisters should heal by themselves unless infected. Treatment includes removing the blisters at a veterinarian and treatment for any ear infections. For frequent ear infections consider a dietary supplement designed for ear health." Dog ear blisters, or hematomas, are fairly common in dogs with pendulous ears, such as basset hounds and cocker spaniels. They are far less common in dogs with erect ears. When the dog's ears itch or develop an infection and the dog scratches them excessively, small blood vessels break, causing blood to leak between the skin of the inner surface of the ear and the cartilage that forms the ear structure. This forms a balloon-like swelling on the inner surface of the ear. Canine ear blisters look just like one would expect- like a blister on the inside of the dog's ear. The blister may appear red or purplish, due to the blood pooled inside. There may be just one blister or there may be a few of them. Because dog ear blisters often occur when dogs have ear infections, you may also notice signs of infection, such as excess ear wax or discharge, a bad smell, red or inflamed looking ears, or dirty looking ears. Canine ear blisters are easy to diagnose. At first glance, they may appear to be a tick, but a closer examination will clearly show that they are indeed hematomas. The hematomas will probably heal by themselves, but if you see signs of an ear infection, you'll want to see your vet for a diagnosis and treatment. If the ears do not seem infected but your dog is scratching or pawing at his ears, or if the blisters don't go away by themselves in a few days, see your vet. Canine ear blisters may heal by themselves. The blood will be reabsorbed by the body and the blisters will shrink until they are gone. If this does not happen, or if your vet prefers to treat the hematomas, the blisters can be lanced (cut) so that the blood drains out of them. The ear canal is then flushed and cleaned. If your dog has an ear infection, your vet will probably want to lance the blisters while he or she is treating the ear infection. You will then need to clean your dog's ear(s) daily until the infection is cleared up. Your vet will show you how to do this. If infections are frequent consider a dietary supplement that contains Tea Tree Oil and Rosemary. A good all in one supplement to consider is Pet Alive Ear Dr. for dog ear infections. It is important that your dog does not scratch or paw at his ears while the blisters are healing. 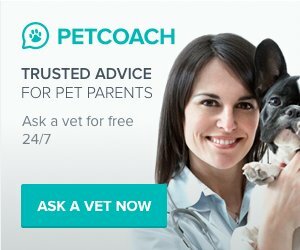 If he is scratching or pawing at them, your vet may give you a large, restrictive collar called an Elizabethan collar to prevent him from reaching his ears.